The sleek lines and graphic pattern of the Silhouette Series square trash cans furnishes that essential style modern interior design demands. 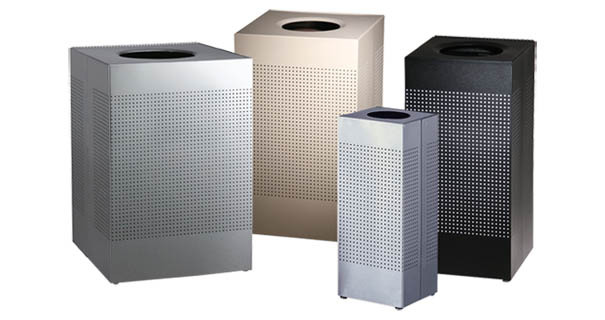 Constructed with heavy-gauge fire-safe powder-coated or stainless steel, these square trash cans are as durable as they are attractive. Open top design allows for a hands-free trash disposal. Convenient hinged top for easy emptying. Leg levelers to provide extra stability.